It’s not my job to write MTG finance articles on this website and I know that. I have other outlets for that sort of thinking and I like my 75% column here on Coolstuff an awful lot. However, I know that when Return to Return to Ravnica comes out here in a few short weeks, you’ll want to brew with the tasty new Legendary creatures and new mechanics and there are some cards that are less expensive now than they will be when everyone is trying to buy in. I am going to do what I hope you will consider, if you’re being charitable, a 75% series article because it will contain some deck-building advice that is unique to this building ethos I have established and continue to try and hone. Incidentally, this 75% article is going to try and make the case that you should be thinking about staples for a post-Guilds of Ravnica world and if I happen to save you some money by convincing you to buy early, good, because I guarantee a lot of the cards I mention here today are going to appear in future articles and it would be nice if you paid less. Before I get started, there are a ton of ways to acquire cards and I think the best way is ordering singles of the new set (although I plan to order a case so do as I say, not as I do, right?) if you’re mostly a Commander player. We’re going to be losing a ton of cards to rotation and if you haven’t gotten rid of everything you don’t need yet, you lost some value but I might ship everything I had to a site like Coolstuff that offers a generous trade-in bonus so you can turn trash into treasure. People lose a lot of value buying stuff too early and selling it too late. You should try to avoid that. Everyone knows how to buy singles online but not everyone thinks to trade in their rotating junk so it doesn’t rot in their binder and use it to subsidize the purchase of shiny new stuff for their new decks, so it’s worth mentioning that technique. First up, let’s look at any cards I think you’ll get some more use out of based on the guild mechanics we’ve seen. Selesnya is not getting a new mechanic and I am just fine with that, frankly. I always felt in the past that trying to come up with 10 new mechanics gave us 6 good ones and 4 bad ones, so if they’re going to give us 6 good new ones and 4 good old ones, everyone’s happy. Convoke is a mechanic that rewards you for having a lot of creatures out so they can use their little bodies to subsidize the cost of your spells and there are plenty of cards I think you should take a look at. Awakening/Seedborn Muse/Murkfiend Liege - Tapping a bunch of your creatures to fuel spells can sometimes leave you defenseless, but if you can untap them every turn, you can make sure that your team is always refreshed and ready to go. This is especially useful if you also want to run . . .
Glare of Subdual/Opposition - This is a card that rewards you for having the same deck infrastructure that you are already rewarded for having with convoke spells. Glare can’t imprison people the way Opposition can, but if you’re not in a Commander that has access to Blue, Glare can at least make sure your creature superiority translates to board superiority and that your tokens can negate their best blockers. Avenger of Zendikar - I doubt this goes up in price soon after its recent reprint but it’s good to sock away a copy of this for every Green deck you plan to build in the future. This gives tokens galore. Primal Vigor/Parallel Lives/Anointed Procession/Doubling Season - I heard you like tokens, so I made tokens while you made tokens. 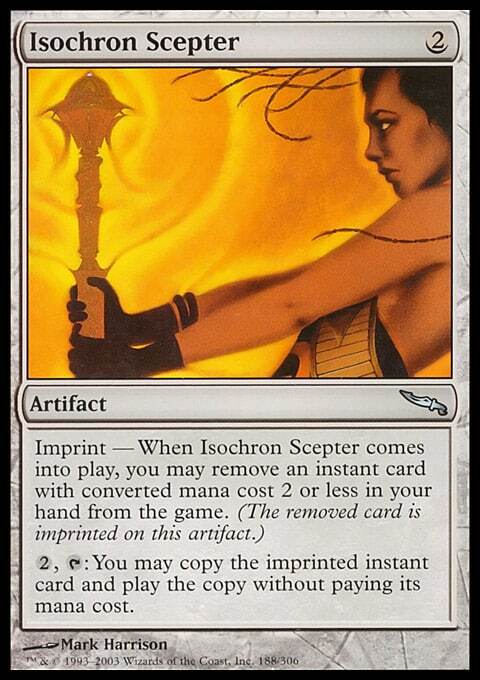 Procession probably never gets cheaper until it’s reprinted and with rotation looming, it could tank a bit. Craterhoof Behemoth - This rewards you for having the kind of deck that benefits most from convoke spells. Surveil is almost a Sultai mechanic when you think about it. When you start to think of this in Sultai terms, a ton of decks like Sidisi, Brood Tyrant, The Mimeoplasm, Muldrotha, the Gravetide, and others will benefit from this mechanic which marries scry and mill and freshly-built Aminatou, the Fateshifter, Yuriko, the Tiger's Shadow, and other Esper decks from Commander 2018 have more ways to stack their decks. 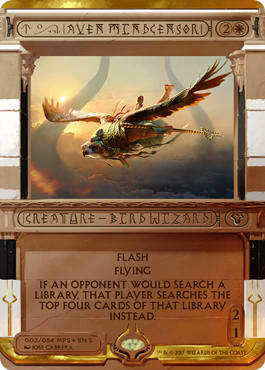 Dig Through Time/Treasure Cruise - Surveil is much better than scry at getting cards into the yard when you want them there; and they can do a lot more good there than at the bottom of your library, provided they’re either cards you would rather never see again or cards you want to reanimate. In the case of junk cluttering the top, Surveil them into the yard and use them to fuel expensive spells. Dread Return - And other reanimation spells reward you for shipping those top cards to the bin rather than drawing them and having to cough up the mana to pay them like some sort of . . . *shudder* FAIR deck. Surveil is a great mechanic but there are really so many obvious cards to list that I’ll stop here now that we have begun brainstorming about the mechanic and I’ll address potential builds later. I think this mechanic is fairly weak in Commander, but I expect it to be very impactful in Standard and Limited. That said, if you’re running equipment, it could be easy to pump your creatures with Mentor so you always get at least one trigger during combat. I am not super inspired by this mechanic and I’ll have to see some more cards. I’m not sad about this specific card - more Rabblemasters are always welcome. Jump-Start is a great mechanic and strikes me as a bit Sultai as well. Being able to play a spell you’ve dredged by digging greedily and putting a useful spell in the yard to pay for the flashback cost seems very useful. While there are a lot of jump-start spells with Red in them, the mono-Blue ones seem like they’ll cross over. Dig Through Time and Treasure Cruise seem relevant again, as well as Dread Return. A lot of the same classes of spells that are good with Surveil in the deck seem good with Jump-Start. Secrets of the Dead - Nothing like replacing the card you had to pitch right away. Secrets of the Dead has gained some traction recently with Muldrotha decks. Having a pile of these for future decks seems wise since this set is HEAVILY focused on the graveyard with Surveil, Jump-Start and Undergrowth all mentioning the graveyard directly. That’s a lot of graveyard mechanics! You’ll be casting a lot from the yard for sure and this benefits you a ton. Spelltwine - This card seems to have been forgotten in the time since I first started playing Commander, but I can’t think of anything more 75% than getting another shot at playing a spell you discarded to Jump-Start something else and snagging one of their binned spells to boot! Increasing Vengeance - If you like getting second cracks at spells like Bribery, you will want to run doublers and this is a good one because you can pitch it to Jump-Start and still be able to use it. Of all the spells with flashback, this is my favorite for a deck like this. Another graveyard mechanic? I almost want to include a section with cards like Rest in Peace, Tormod's Crypt and Relic of Progenitus that you should buy to counter the incoming wave of graveyard-based cards. Golgari Grave-Troll/Life from the Loam - Dredge will be good soon and Life is the best way to get back those lands you thoughtlessly trashed and Troll’s Dredge goes greedy and deep like a Dwarven Miner. Fill that yard and reap the rewards without even having to bring those creatures back. I like Tasigur, the Golden Fang a lot moving forward with all of this sicko Sultai graveyard cards spread across 3 new mechanics. The Gitrog Monster - Dredge away, player, you’re going to benefit the faster you fill the yard. Deadbridge Chant - I was so enthusiastic about this card that I preordered for $2 and was exuberant watching it hit $8 on the back of being a sideboard card at the PT but that success was short-lived. I think we have a second life, now. I have some thoughts about cards you will want to pick up to play with individual new cards. Trophy just may be the best cards in Guilds of Ravnica and it’s going to replace a lot of cards like Beast Within and Putrefy. Your opponent getting a land is fine, usually since it’s tough to keep that from happening a ton in a format with Cultivate shenanigans anyway. Since the drawback on Path to Decay is less steep in Commander than in Modern, Legacy and Standard, (although you can kill just about anything you need to in Legacy with Abrupt Decay, which they can’t counter, so this will need to prove its worth there) I think casting this a lot in Commander will be great. What’s the best way to do that? Hello, BFF. I have a feeling you and Trophy are going to get along famously. Unlike Decay which wasn’t optimized for Commander, Trophy has no size restrictions so you can blast whatever you want. The Izzet vs Golgari duel deck has a copy of Scepter, Life from the Loam, Golgari Grave Troll and some other assorted goodies like alternate art signets and you can scoop them on eBay for pretty cheap sometimes. You may want to negate the benefit they get from Trophy altogether, also, which White has ways to do if you’re in Abzan. I expect him to be built around. While the deck isn’t very exciting because it’s obvious, basically 9/10 of the stuff that’s powerful in Nekusar, the Mindrazer decks is punishing here as well. Wheels, Mindmoil effects and Teferi's Puzzle Box are going to keep you churning through cards, keeping the best and recycling the rest. If you made money on Puzzle Box when they printed The Locust God, enjoy the gift that keeps on giving. Like The Locust God, when you wheel you benefit (unlike Nekusar which punishes opponents when you wheel) so personal wheels like Tolarian Winds, Mindmoil and Arjun, the Shifting Flame are better now than they have been historically and a lot of them are attainable for now. I think this deck is pretty boring and obvious so I won’t write an article about it until I can come up with an approach that I like, but these cards will be in high demand soon and if you can get ahead of the curve, you can buy for as little as half price. In general, having a pile of cards like Windfall and Teferi's Puzzle Box is advisable because Wizards makes a deck that uses them at least once a year. I think the things we said about Convoke coming back and enabling a new way to think about how to cast those spells really is embodied by Emmara. Emmara was originally supposed to basically be Voice of Resurgence, but R&D had to audible and change things at the last minute so we got a bad Emmara and a dumb, non-Legendary Voice of Resurgence that was basically the only worthwhile card in a historically bad set. I think it’s good we get a second crack at Emmara and my final thought is a decklist that will make the most of her abilities as well as let you cast a ton of good Convoke spells so you can go wide. Here’s my Emmara convoke deck. This deck really leans into convoke a lot, tapping your creatures with reckless abandon because you can untap them with cards like Awakening and Seedborn Muse to be sure you’re not defenseless. This lets us tap out completely for spells like March of the Multitudes and still feel safe. Token doublers abound and cards like Helm of the Host and Blade of Selves make combat math add up quickly. Shamanic Revelation into a Craterhoof Behemoth or even Chord of Calling for the best, knowing even with you having to tap that many creatures, you’ll still be able to swing for quite enough, turns earlier than they expect. This is about as Selesnya as a deck gets and every time you tap Emmara to convoke or Glare, you’re adding to your growing ranks. I think this looks like a lot of fun and if I didn’t already have Trostani (a better Seance deck) I’d be tempted to sleeve this up and stomp some faces. That does it for me this week. What are you stocking up on in preparation for the rest of the set to be revealed? Do any of the guild mechanics make you think an old, forgotten card will have new relevance? Do you have a “build box” stocked with multiple copies of format staples that you think will need an update based on Guilds of Ravnica? Let me know in the comments! Thanks for reading and send me some brews to look at. Until next time!